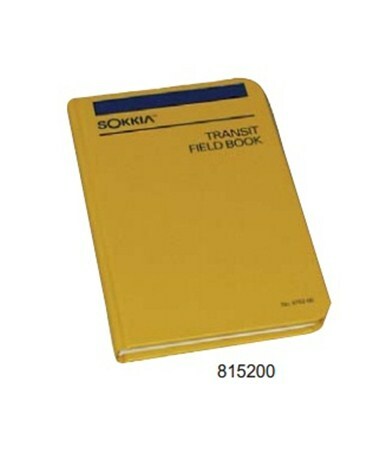 This Sokkia Transit Field Book (Model 815200) is a bound Hard Cover book. The Left page is level ruled. The Right page has 8 vertical and 4 horizontal blue lines and a red vertical center line. 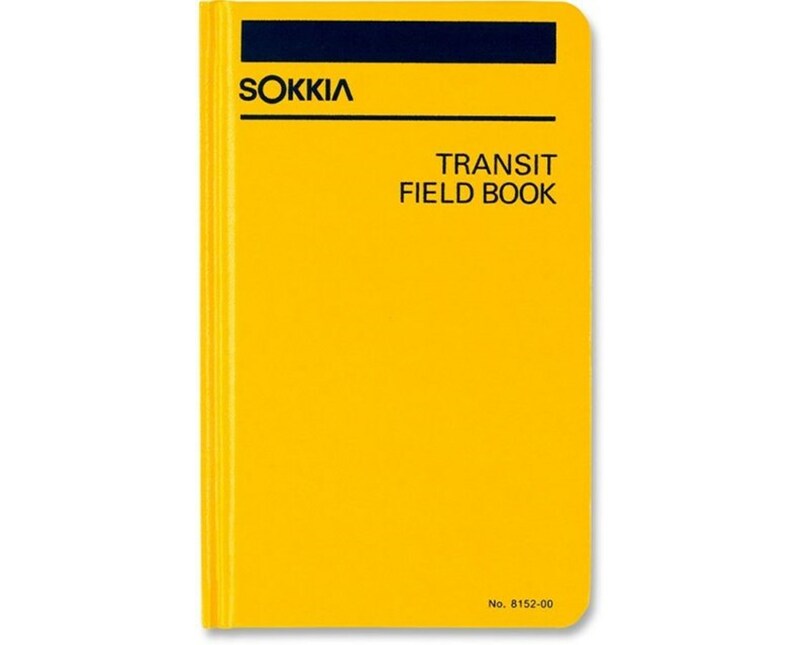 Appendix of 11 tables of conversions, trigonometric functions, and formulae for solving right angles and curves. 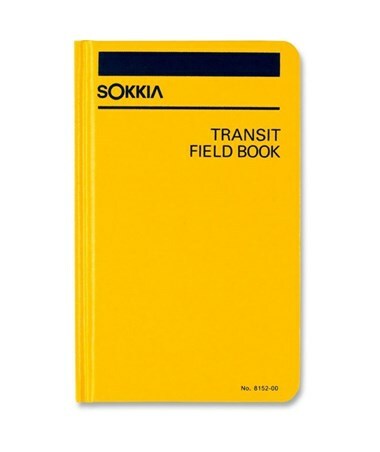 Hardback cover, 80 leaves, page size 4 1/2” x 7 1/4”.